Posted bygeorg	 December 13, 2010 Leave a comment on Sparklefest 2010! This year’s poster! Should be a fun series of events, us usual. 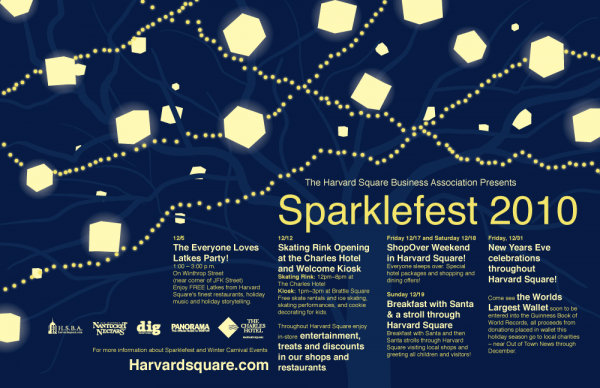 Be sure to check it out, and head to harvardsquare.com for more info!